Talking Points at Asian Productivity Organisation Workshop in New Delhi - co-hosted by National Productivity Council and NCCD. 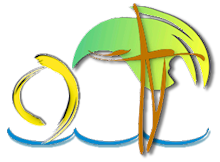 - As you are aware, all raw food is sourced at harvest – be it livestock, fish, dairy, agriculture or horticulture. In India, a largely vegetarian country, horticulture is a major source of high value food. - Horticultural produce (which is primarily perishable in nature), intrinsically requires the integration of activities during its post-harvest life cycle. Any breach in the required set of activities, results in loss of the produce – physically or in its value realisation. - These losses cannot merely be attributed to a short life cycle due to the lack of temperature controlled logistics. A major cause of food loss also stems from flawed handling - poor hygiene practices, packaging not suitable to the distances the produce has to travel, bottlenecks and delays due to multilayered transactions. - The practices involved in cold-chain, counters all these causes. Cold-chain brings sophistry to farm level produce handling and, perforce brings selective measures in the form of pre-conditioning the produce before its transit to consumers. - This pre-conditioning phase, commonly known as sorting, grading, packaging and precooling, has to happen at farm-gate for optimal benefits. This means that cold-chain brings value addition and investment at our farm-gates. For our agrarian economies, this has a positive socio-economic impact in our rural areas. - Cold-chain development embraces a behavior change in our traditional society, and the change is already evident in our cities. The development is different and takes a while longer at farm-gates, but with long term strategic focus, this is expected to quicken. - Developing cold-chains requires the combination of all these aspects – a target product segment, technical know-how and collaboration between countries & across distances. - Gathered here, is representation from Fisheries, Veterinary Sciences, Processed food, Higher Vocational Education, Rural Economics, Innovation and Agri-Business, Biology, Marketing and more… from 14 Asian countries. - This clearly demonstrates that the tasks involved are truly cross-functional and the impact potential of cold-chain is wide ranging across sectors and applications. - In India, the successful use of cold storage technology is visible in case of potatoes. A single season crop in India, yet potato is available in our markets all throughout the year. A similar scenario has developed in case of apples. Yet, given our production base, more needs to be done. - Cold-chain is not viewed only as a counter to cyclic lean periods in production. The true essence of a cold-chain is when it empowers the produce owner by opening supply lines to sell into distant markets, across distances. This is most evident in India is in case of milk... it feeds daily into a dynamic supply chain, temperature controlled and connected to consumers. - For this to happen, cold storage as a standalone infrastructure is insufficient. Integrated cold-chain networks are needed, if we must cover more than apples and potatoes. A cold-chain must function as a supply chain, one that is a conduit to new markets, both domestic and foreign. This is how cold-chain is already applied in case of pharmaceuticals, meats, ice cream and dairy products. 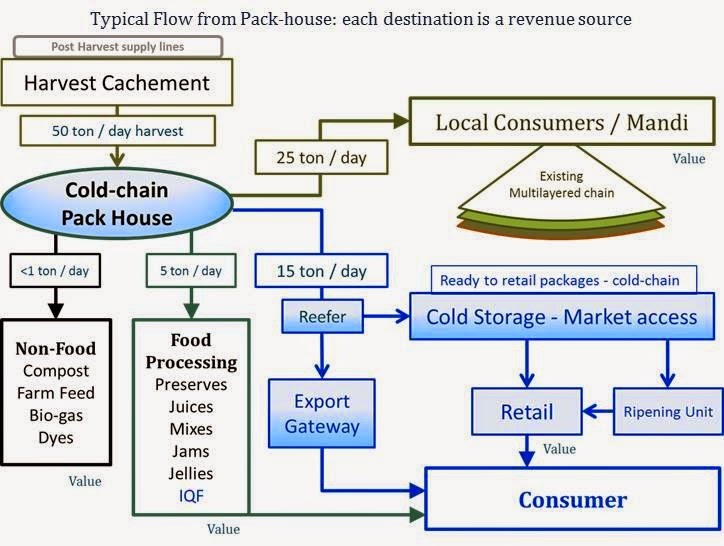 In fact, the cold-chain is key to the success of these value chains. - The cold-chain is not merely temperature controlled logistics, more so when handling fresh produce. It requires a series of specific equipment, processes & practices, stretching from source to consumer. In such a chain, standardisation in operations and handling systems is of great importance. - A critical link in cold-chain is, knowledgeable and aware human resources. Across the world, maintaining the integrity of the cold-chain is largely dependent on the operations. This operator is not a solitary person, but changes across the activity chain. Hence, protocols are equally crucial, so that in the cold relay race, the perishable baton exchanges hands safely & efficiently. - Standards and protocols when applied across functions, calls for harmonisation across the functions. Which is why I am doubly pleased to see this international assembly, gathered to share and collaborate. The language, the understanding and the concept must lend to commonality (harmony) amongst us. - Cold-chains impact our food supply options and help to minimize loss of produce. They also help to conserve natural resources, because physical food loss means a loss of inputs in form of energy, water and human effort. Yet, the technology used has itself been impacted by change… from packaging, compressors, insulation, controls, refrigerants and the applications. - Cold-chains are critical to our future, necessary for human civilization to flourish. One of the results from this talk - in the demands put up by countries, after this 5 day workshop. Wow!! an NCCD in every country in the region. If they coordinate and help develop food trade int he region, it will be great.